When will be The David Rubenstein Show: Peer to Peer Conversations next episode air date? 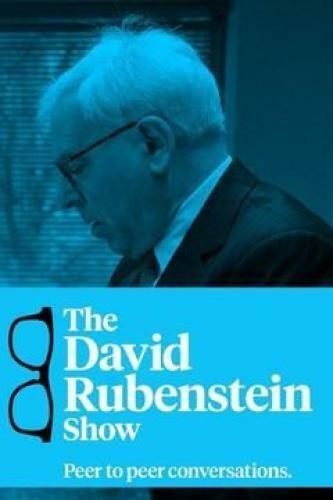 Is The David Rubenstein Show: Peer to Peer Conversations renewed or cancelled? Where to countdown The David Rubenstein Show: Peer to Peer Conversations air dates? Is The David Rubenstein Show: Peer to Peer Conversations worth watching? Philanthropist and financier David Rubenstein talks with the most influential minds in business. Paul Singer, Elliott Management, founder and co-CEO. Former Presidents George W. Bush and Bill Clinton. Physician-geneticist Dr. Francis Collins, Director of the National Institutes of Health. The David Rubenstein Show: Peer to Peer Conversations next episode air date provides TVMaze for you. EpisoDate.com is your TV show guide to Countdown The David Rubenstein Show: Peer to Peer Conversations Episode Air Dates and to stay in touch with The David Rubenstein Show: Peer to Peer Conversations next episode Air Date and your others favorite TV Shows. Add the shows you like to a "Watchlist" and let the site take it from there.